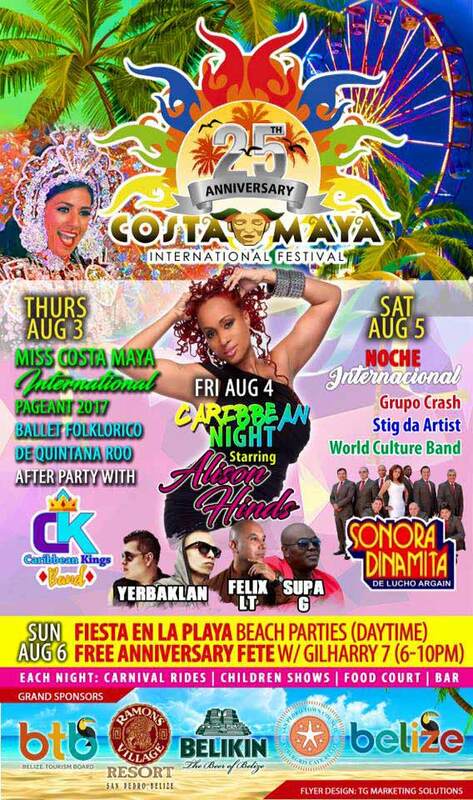 After Hurricane Earl caused the 2016 International Costa Maya Festival® to be cancelled, organizers are thrilled to announce that the show is on for Thursday, August 4th through Sunday, August 6th. 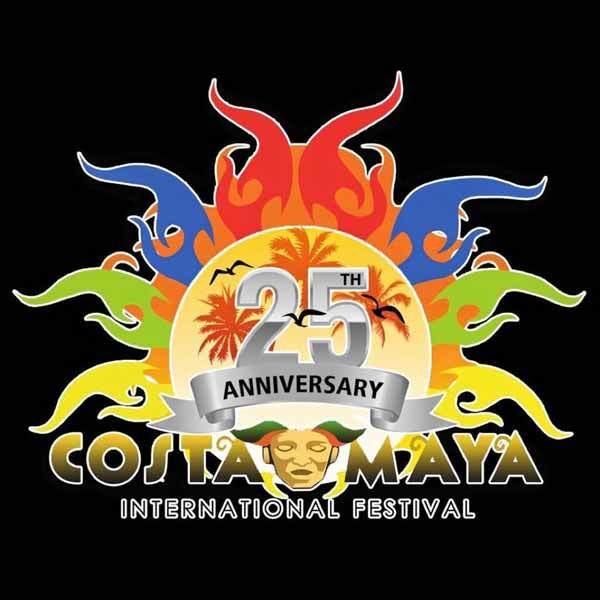 This year, Costa Maya will be celebrating its 25th Anniversary, which means the committee is working extra hard to make sure Ambergris Caye has with the best week-long festivities of dance, music, pageantry, food and drinks! As is tradition, the festival will take place at the Honorable Louis Sylvestre Stadium in San Pedro Town. 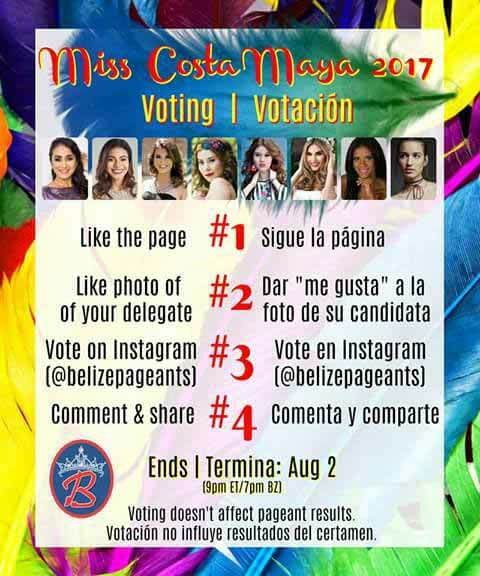 Thursday night will be Pageant Night, in which eight beautiful contestants will vie for the title of Reina de La Costa Maya. 2015’s Gabriela Vanessa Salazar Valle still holds the title, and this year, the Pageant seeks the participation of all the Central American countries: Belize, Mexico, Guatemala, Honduras, El Salvador, Nicaragua, Costa Rica, and Panama. We already have confirmed the first gorgeous contestant, and she is Miss Costa Rica. After the official opening ceremonies and presentation of the new queen, there will be a variety of cultural presentations on Friday, August 4th. Those will be followed by the highly anticipated soca vibes of the undisputed Queen of Soca, Alison Hinds! Saturday, August 5th is International Night, and bringing the Latino flavor to the evening will be “La Sonora Dinamita”. La Sonora Dinamita is a Colombian musical group that specializes in cumbia, with popular hits like ‘Mi Cucú’, ‘Que Nadie Sepa Mi Sufrir’, ‘La Parabólica’, ‘El Viejo Del Sombrerón’, ‘Escandalo’, ‘Qué Bello’, and ‘La Suavecita’. Bring your dancing shoes, because Saturday will be one for the books! Sunday is traditionally beach day, and all festival attendees are encouraged to soak in the scenic beauty of our waters, along with the daytime festivities that businesses/sponsors will be hosting in honor of the weekend! With the announcement of Miss El Salvador Iris Yazmin Guerra, the International Costa Maya Festival® Committee has a full line-up of beauties to vie for the title of Reina de La Costa Maya 2017-2018. 22-year-old Guerra is currently a student at the La Univesidad Catolica de Occidente, pursuing a degree in Business Administration. Guerra now joins Miss Belize Michelle Estrella Nuñez, Miss Costa Rica Glennys Medina Segura, Miss Guatemala Lesly Fernanda Flores Sagastume, Miss Honduras Miss Andrea Nicolle Salinas Godoy., Miss Mexico Ximena Cardoso Gutiérrez, Miss Nicaragua Danielle Nicole Hodgson Joseph and Miss Panama Maria Fernanda Jaspe. The International Costa Maya Festival® Committee proudly announces the seventh contestant vying for the title of Reina de La Costa Maya 2017-2018: Miss Nicaragua Danielle Nicole Hodgson Joseph. 19-year-old Joseph stands 5’, 7’’ tall, and has honey brown eyes and dark brown hair. She is currently pursuing a degree in marketing and advertising. She is very athletic, and enjoys volleyball, soccer, swimming, and racing. She also loves dancing, singing, literature, poetry and going to the beach. However, Joseph’s weakness is cooking then eating, especially Caribbean dishes. “Healthy versions of course!” she says with a laugh. Meet Miss Costa Maya 2017 Delegate – 19 year-old Godoy is 5’ 7’’, and loves to swim, play volleyball, and plays the piano. She is trilingual, speaking Spanish, English, and Portuguese! She is currently pursuing a bachelor’s degree in marketing. Meet Miss Costa Rica – Miss Costa Maya 2017 Delegate Glennys Medina Segura. Age: 22 years old, Height: 5’6″. Student: Law degree and Diploma in International Relations and Diplomacy. Among her hobbies are cooking, creating desserts and fishing. Her biggest dream is to be elected winner of The Miss Costa Maya International 2017 Pageant and professionally create a non-profit NGO to help families and create educational programs for children, since they are the future of our countries. Meet Miss Costa Maya 2017 Delegate – Lesly Fernanda Flores Sagastume, Miss Guatemala. Age: 23 years old, Height: 5’2″, Student: Clinical Psychology. Among her hobbies are Singing, Reading, Exercise, & Football. It’s the first time that a Miss Costa Maya delegate was selected as an actual finalist during a national pageant. She officially was named Miss Costa Maya Guatemala during the Miss Guatemala pageant. The highly-anticipated International Costa Maya Festival® is adding to the excitement with the announcement of Miss Panama Maria Fernanda Jaspe. She is the third contestant set to grace the stage in under two months, vying for the title of Reina del La Costa Maya 2017-2018. 18 year-old Jaspe stands tall at 5’9”, with dark brown eyes and chocolate hair. She is currently a dentistry student, and her hobbies include modeling and dancing. Jaspe now joins Miss Guatemala Lesly Fernanda Flores Sagastume, and Miss Costa Rica Glennys Medina Segura, as they await the announcement of the remaining 2017 Reina de La Costa Maya® pageant contestants. The Pageant will take place on Thursday, August 3rd at the Honorable Louis Sylvester Sporting Area at 7PM. They will be joined onstage by Miss Belize, El Salvador, Honduras, Mexico, and Nicaragua in the pursuit to take the coveted crown currently held by Miss Costa Maya 2015 Gabriela Vanessa Salazar Valle. International Costa Maya Festival 2017 is underway! The committee has been working behind the scenes to bring to you the most anticipated festival of the year. The festival will also be hosting The Miss Costa Maya International Pageant on Thursday, August 3rd, with participants from Mexico, Guatemala, Honduras, Nicaragua, El Salvador, Costa Rica, Panama, & Belize. We already have confirmed artists for Friday, August 4th & Saturday, August 5th. Stay tuned for more updates coming shortly. The Costa Maya Festival stage lights up as local and international artists from all over the Americas merge to put on a multicultural spectacle in Ambergris Caye for a celebratory week of dance, music, pageants, food and drink. Celebrating their ancestral Maya culture, the Costa Maya Festival is a weekend-long celebration. 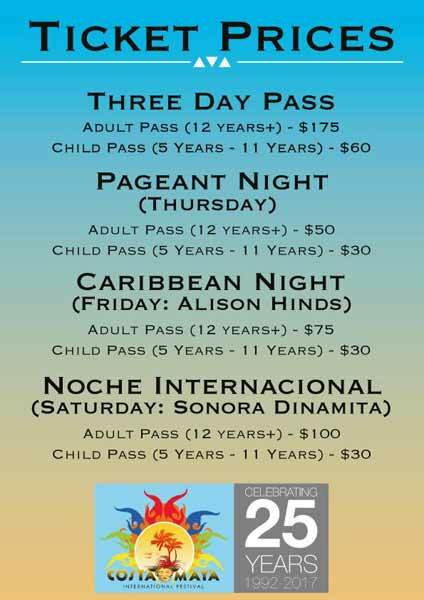 Every year, The International Costa Maya Festival seeks the participation of Belize, Mexico, Guatemala, Honduras, El Salvador, Nicaragua, Costa Rica, and Panama, all the Central American countries. Local and international visitors enjoy a world-class event in beautiful San Pedro Town. There are traditional and modern dance groups, star studded musical bands accompanied by renown singers. 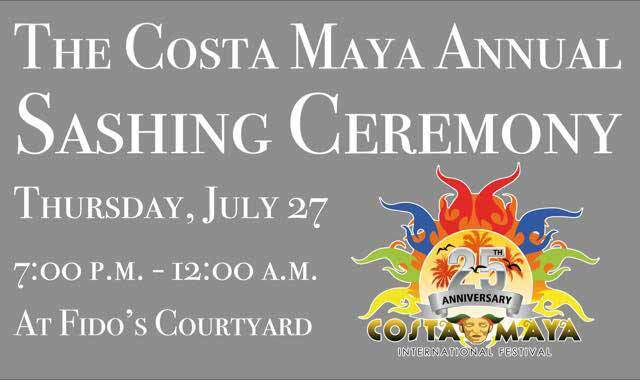 We take this opportunity to extend an invitation to you and it is with hope that you accept this invitation to become our guest at this year’s International Costa Maya Festival. We look forward to hosting you at our three nights of festivities and would like to take this opportunity to offer you our very best wishes. If you wish to become a sponsor, please feel free to contact us via email, [email protected] Thank you for your continued support. We look forward to another great festival. The ticket prices are out! Our fifth contestant in the 2017 Reina de La Costa Maya pageant is none other than Michelle Estrella Nuñez for Miss Belize! The exciting announcement by National Director of Miss America Latina Belize, Michael Arnold, was made on Tuesday, June 27th. Michelle is from San Pedro, Ambergris Caye and she aims to become the first Sampedrana to capture the Costa Maya crown. The 26 year-old, 5’6” (1.68m) beauty was a past Miss San Pedro (2014). She also represented Belize last year at Miss America Latina del Mundo in Mexico, where she not only captured the award for Best Original Costume but also gave Belize its highest, and thus far only, placement in this pageant. She placed 4th Runner-up (out of 19), besting delegates from Argentina, Australia, Canada, Mexico, Spain, among others. 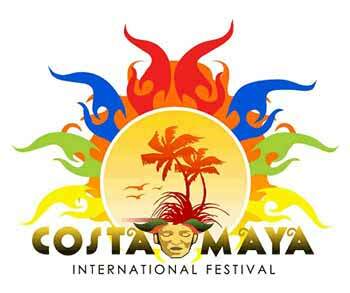 The International Costa Maya Festival is a celebration of art, music, culture and entertainment. With an international pageant and fun line-up of performances, the committee is tasked with discovering performers for everyone to enjoy. One such artist gracing this year’s festival stage is Panamanian Reggaeton singer Félix LT. He will make his Belize debut on Friday, August 4th, priming festival-goers before the Undisputed Queen of Soca, Alison Hinds, takes the stage. A versatile performer, Felix’s “Romantic Style” lyrics and harmonies are based on daily life. 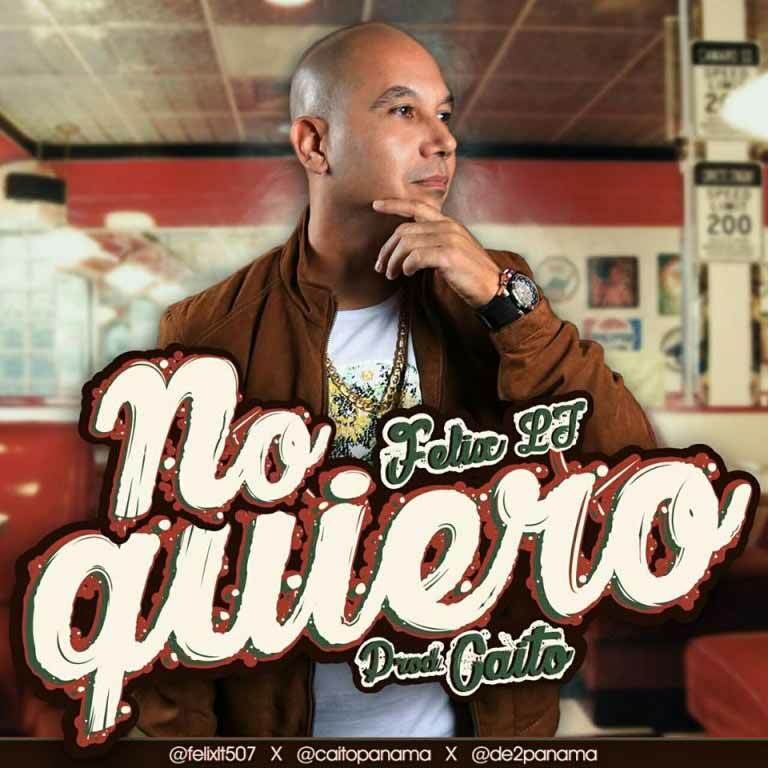 Under the production of renowned music producer Carlos Ariza, better known as Caito, he is currently promoting his latest song entitled “No Quiero”. He has also recorded several remixes with international artists from Honduras and Belize, including a remix of the song “Húndele el Clutch” with Renato, Supa G, MC Loco, Glen King and Yoel el flow del movimiento. Be sure to swing by the festival to check out this rising star, and of course, enjoy some reggaeton fun! Popular San Pedro TV/radio personality and Reef Radio owner Eiden Salazar returns to co-host Miss Costa Maya 2017. No stranger to the Costa Maya stage, Salazar has hosted the pageant for a number of years. 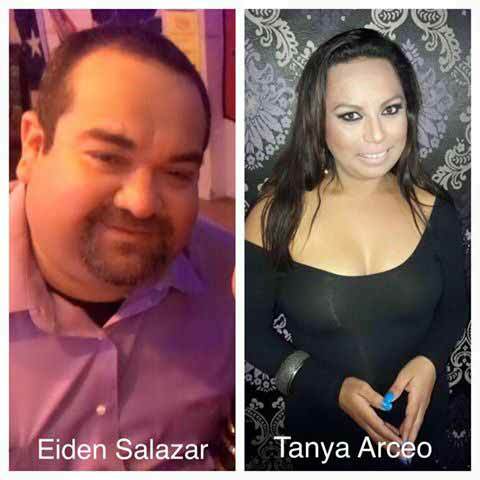 This time he will be assisted by the beautiful Tanya Arceo. Arceo was born in San Pedro, Ambergris Caye and raised in Benque Viejo del Carmen, Cayo. Arceo recently graduated in Guatemala with a degree in Broadcasting. She has had the opportunity to work with and learn from long-time professionals at Guatevision, such as Maria Luisa Gomez. This has allowed her to develop in a field in which she is very passionate about. “For me it is a real honor to be part of Miss Costa Maya International. THANK YOU for this opportunity and for trusting in my ability and talent,” she said. Salazar and Arceo will join forces to make Miss Costa Maya International 2017’s pageant final, the festival’s 25th anniversary scheduled to take place in San Pedro on August 3rd, one to remember for the next 25 years and beyond. 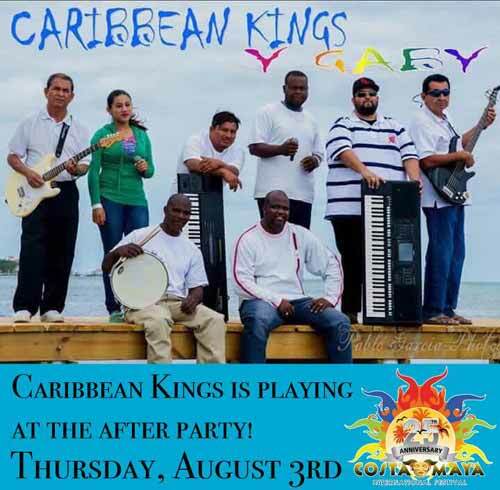 Caribbean Kings Will be playing at the after party! On Thursday, August 3rd! 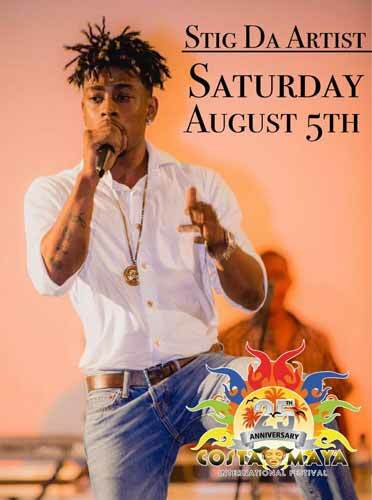 Sting Da Artist will be playing on Saturday August 5th for this year's Costa Maya Festival! Activities for the biggest international festival in Belize, the International Costa Maya Festival, began on Wednesday, July 26th, with the arrival of the delegates for this year’s Reina de la Costa Maya Pageant. The pageant will officially open the festival on Thursday, August 3rd, with eight contestants from the seven Central American countries and Mexico vying for the title and crown. First to arrive was Miss Mexico, who was mesmerized with Ambergris Caye. “I feel so happy to be on La Isla Bonita! It’s my first time on the island and I look forward to have magnificent experience in the festival,” Guterrez said. She hopes to see a lot of the island and meet the island residents. Shortly after, Miss Panama, Miss Costa Rica, Miss Nicaragua, and Miss El Salvador touched down on the island. They were thrilled to finally be on Ambergris Caye and with hugs and big smiles they greeted everyone at the airport. They shared with The Sun that it is not just about the competition, but to indulge in the Belizean culture and enjoy their time on the island while they prepare for the grand night. They all acknowledged that there is much work to be done throughout the week leading to the pageant night next week Thursday. Seven of the eight beautiful Reina de la Costa Maya contestants were officially introduced at Fido’s Courtyard during an official sashing ceremony held on Thursday, July 277th. Miss Belize Michelle Nuñez, Miss Costa Rica Glennys Medina Segura, Miss El Salvador Iris Yazmin Guerra, Miss Guatemala Lesly Fernanda Flores Sagastume, Miss Mexico Ximena Cardoso Gutierrez, Miss Nicaragua Danielle Nicole Hodgson Joseph and Miss Panama Maria Fernanda Jaspe were hosted to a delicious dinner courtesy of Fido’s, after which they introduced themselves and received their official sash from Manager Brian Cook. Miss El Salvador, Miss Mexico, Miss Panama, Miss Nicaragua and Miss Costa Rica have arrived! Miss Honduras and Miss Guatemala will be arriving tomorrow to join Miss Belize and the rest of the contestants on their journey towards the crown of the prestigious Miss Costa Maya International pageant that will take place on Thursday, August 3, 2017 at the Hon. Louis Sylvester Sports Complex. Voting does not influence pageant results | Votación no influye resultados del certamen. Kid's night! 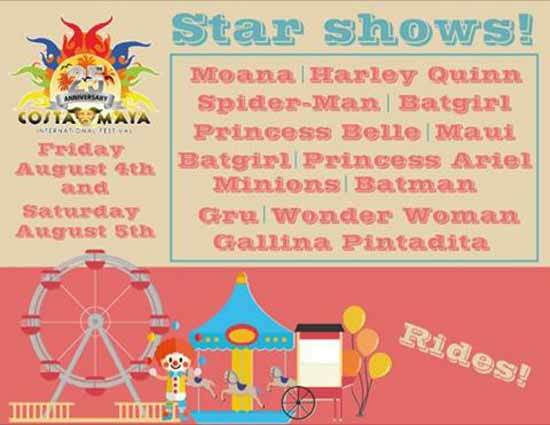 Bring your kids to the festival grounds for star characters and rides!